Sometimes you forget how big some countries are. You get so caught up in your life that you forget how big your own country is, so it’s no wonder you forget there are over 1.3 billion people in China and just less, around 1.2 billion, in India. Think about that for a second. Google tells me that the population of the USA is around 313 million. Can you imagine a country the size of India with the average living standards of the USA? They would be an unstoppable world force. Even now, there are millions of doctors, academics and otherwise very, very smart people coming out of India. Take Shiva Nathan for example. He’s a 15 year old from India who clearly has a very great life ahead of him. After being inspired to help a family member who lost both arms below the elbow, Shiva set about creating his own prototype prosthetic. 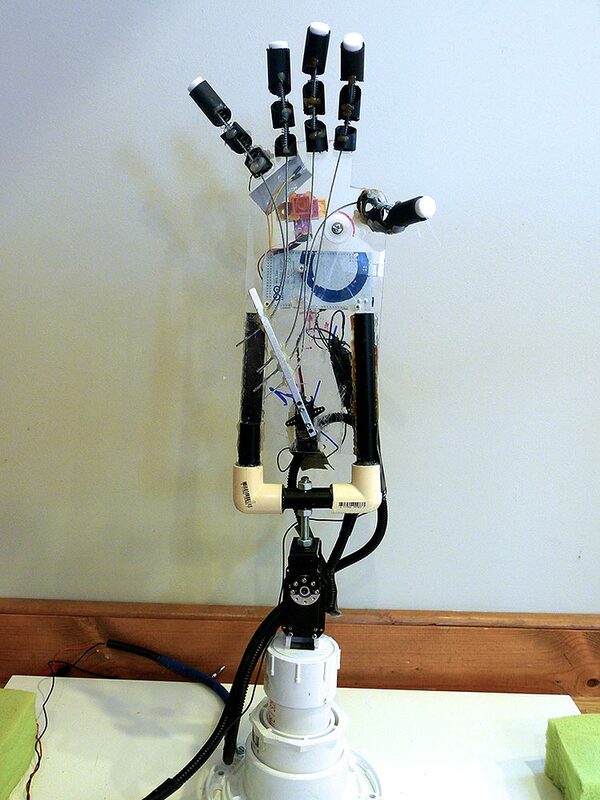 Two years later, he has finished his robotic arm, which uses a Mindwave Mobile headset to read EEG waves from the wearer and uses Bluetooth to send certain types of thought to the arm which translates them into finger and hand movements.